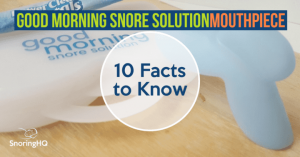 It is pretty common for people to ask why Good Morning Snore Solution is different than other stop snoring devices. You have a full market of mandibular advancement devices (MADs), and many are said to be quite effective, so what would inspire someone to create a product that is completely different? I can’t get a good fit. I hate the feeling of having something in my mouth. The mouthpiece falls out in the middle of the night. The complaints were all due to a foreign object being in the mouth, so all that needed to be created was something that would eliminate these complaints. Thus, Good Morning Snore Solution was developed. The common complaints folks experience with mandibular advancement devices don’t apply to Good Morning Snore Solution. It does not sit inside the mouth, so there is no sensation of a foreign object being in the mouth. It’s not a mouthguard or a CPAP. 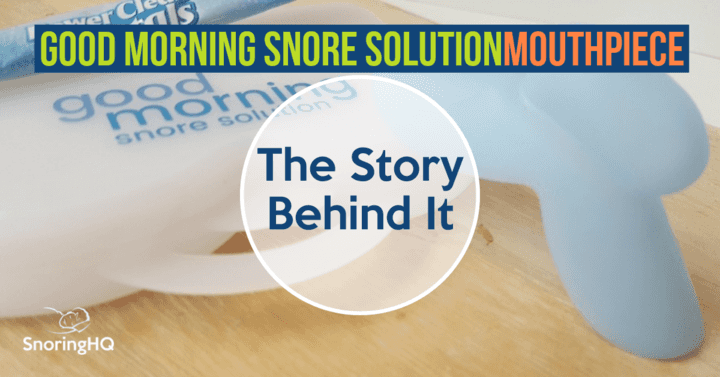 If you generally drool or wake up in pain wearing an MAD, you may like Good Morning Snore Solution because it is completely different. 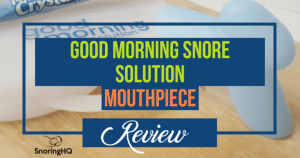 I cover the primary differences in my review of Good Morning Snore Solution. Also, due to its unique design a wider range of people can wear it. This includes individuals with temporomandibular joint disorder (TMJ), loose or weak teeth, or dental crowns and bridgework.